(CBS) "Jeopardy!" 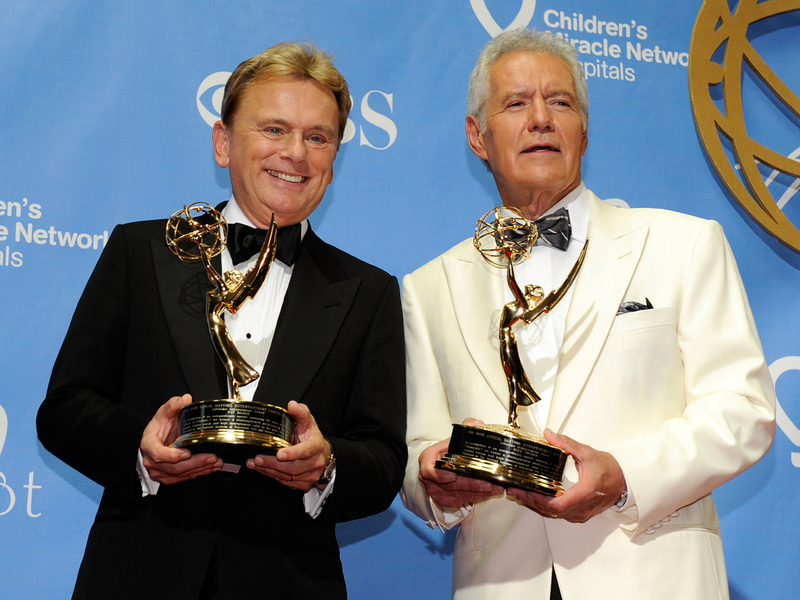 and "Wheel of Fortune" tied for best game show during Sunday night's Daytime Emmy Awards - fitting, since their respective hosts, Alex Trebek and Pat Sajak, received lifetime achievement awards during the show. "We're part of Americana," Trebek said backstage, with Sajak alongside him. "People, when they hear the themes to 'Wheel' and 'Jeopardy! ', they know immediately what the reference is. Part of that is because we've been on for so long. We hope it will continue for as long as we want to do it." Their two shows dethroned "Cash Cab" which had won the best game show category for three straight years.